Remember the big guy on the little bike in the beginning of "On Any Sunday?" 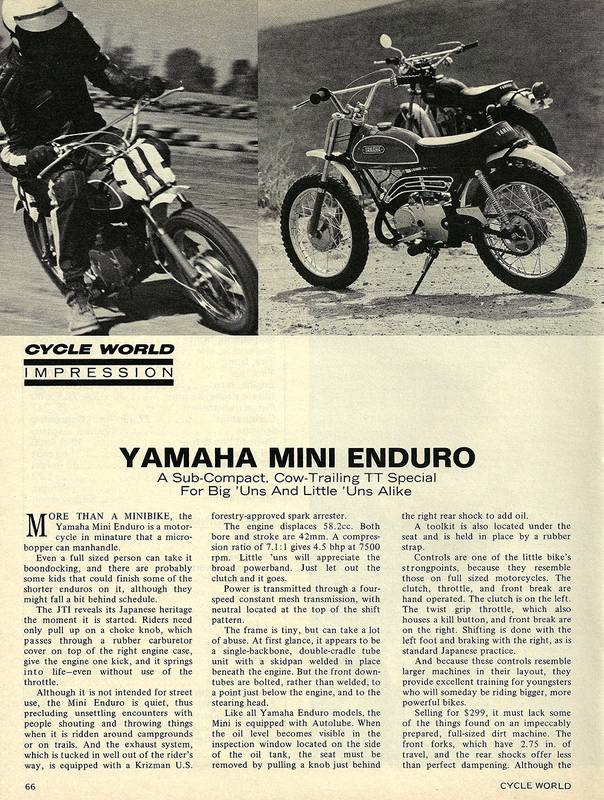 That was a Yamaha Mini Enduro. "A sub-compact, cow-trailing TT Special for big 'uns and little 'uns alike."